Amanpulo Resort, Pamalican Island, Philippines. The exclusive Pamalican Island is secluded, being private, and offers a variety of sea, sand and tropical island retreat pleasures, in exclusive comfort and in traditionally styled accommodation. The island is part of the Cuyo island group in the Sulu Sea, between Palawan and Panay. The 40 Beach, Hillside and Treetop Casitas are modelled on authentic bahay kubo dwellings, each with its own golf cart for island exploration. 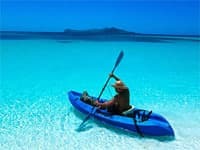 This romantic, remote island caters for those who wish to ‘hammock’ and beach comb their days in paradise, and for those who seek a more active agenda, there are maritime adventures as well as tennis, a high-tec air conditioned gym, and 30m swimming pool. Open-air Garden and Beach Salas are discreetly secluded for pleasurable holistic body treatments. The resort has been nominated as one of the best island resorts in the world. 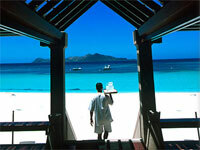 Amanpulo’s native style of dwellings enhances its exclusive island stronghold. There are 40 casitas fashioned after a Philippine bahay kubo: a centuries old South-east Asian rural archetype where family life was played out beneath steep pitched roofs on timber frames. The five Hillside Casitas offer magical sea views, the four Treetop Casitas embrace the trees while the 29 Beach Casitas have private overgrown paths that lead down to the soft white beach. All are nestled discreetly among the sand-floored tropical foliage and enjoy their own buggy for unlimited enjoyment of island exploration. The bathrooms are spacious and appealing with raised Cebu marble bathtubs and twin vanities. Each casita enjoys a sprawling wooden sun deck with inviting loungers and dappled shade from vibrant bougainvillea and two deluxe Hillside Casitas have an unrivalled sweeping vista of the Sulu Sea and neighbouring islands. All casitas come with a flat-screen satellite television, DVD/CD player and iPod dock, all connnected to a surround-sound system, a coffeemaker with complimentary coffee and tea, as well as a safe. Hats, slippers and beach bags are available in the casitas for guests' use on the island and as souvenirs when they go home. Amanpulo's 29 Beach Casitas each have private paths that lead through a tangle of bush directly onto the white-sand beach. The beach is an uninterrupted wide stretch of fine sand with views over the neighbouring islands. The four Treetop Casitas are above the tree-line, on higher ground. The five Hillside Casitas have unimpeded sea views and the resort's two Deluxe Hillside Casitas feature spectacular prospects of the Sulu Sea and neighbouring islands with both sunrise and sunset views. Private holiday villas located just a few metres from the sea are available for rent. There are eight 4-bedroom Villas, two 2-bedroom Villas and one 1-bedroom Villa. Each features a private swimming pool, separate bedrooms, living and dining pavilions, outdoor lounge and a kitchen. 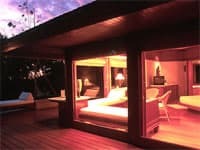 All villas include a private chef, butler, and a buggy for each bedroom. Villa guests enjoy full use of all Amanpulo facilities and services. An additional seven villas have nine free-standing pavilions that include four bedroom pavilions, a separate living room, dining room, kitchen, beach gazebo and a private swimming pool. Each villa enjoys a beach frontage of no less than 50m². Renew your vows with a sentimental ceremony, held by a Filipino wedding official, in a variety of romantic settings. Don't forget, at Philippine Trails, we can take care of every aspect of getting you to Pamalican Island, including Luxury accommodation in Manila, if necessary, and transfers to the Amanpulo Lounge at Ninoy Aquino International Airport. 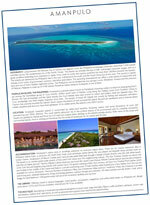 See the full picture on the Amanpulo Website here. For information on traveling to the Philippines, and for incorporating a holiday on Pamalican Island, please contact us. The brilliant blue waters of the Sulu Sea are superb cruising grounds, and Amanpulo keeps a variety of boats suited for all uses. From island hopping and fishing trips to sunset cruises and romantic moonlit outings, Amanpulo has vessels for all types of sailing. This is the place to enjoy the beautifully clear, warm waters of the ocean, without a care in the world. Snorkellers can take a Malibu ocean kayak, tie up at one of several buoys and take to the water from there. The reef facing the Beach Club is a popular stop. Hawksbill and green sea turtles, parrot fish, manta rays and a wide array of coral fish live in these waters. Snorkelling can also be enjoyed from the beach. Eureka, Amanpulo’s associate dive company, is a PADI Dive Centre offering courses ranging from introductory to divemaster levels. All equipment is provided at Amanpulo’s Dive Shop. For novice divers, Amanpulo is a welcoming retreat, with glassy seas in front of the Beach Club and a gentle drop-off to deeper waters. For certified divers, there are a number of fine sites on both sides of Pamalican, all within easy reach by dive boat. (Certified divers should bring their certification cards or dive log book with them). Amanpulo features a choice of night dive experiences that include boat fees, dive equipment, daily breakfast and a gourmet picnic lunch. 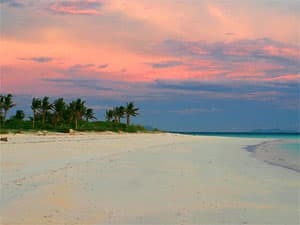 Amanpulo is a magnet for novice as well as experienced windsurfers. The island’s sand-bottom blue lagoon, located on the windward side, makes for world-class board sailing from December through April. Amanpulo keeps a variety of boats for island hopping, fishing and lazy-day sailing. Guests may bottom fish for snapper and grouper at one of Amanpulo’s favoured fishing spots or troll for wahoo, tuna and mackerel. The resort’s 25ft centre-console game boat is equipped with a six-line spread for game fishing. 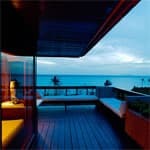 Amanpulo is a perfect place from which to view the constellations of the night sky. Trained staff can guide you through the wonders of the galaxy utilising the 1800x150mm refractor telescope on the bar terrace. A walk around the island’s white sand beach will take about 90 minutes. There are also a number of bush paths and two modest hills to explore. White-breasted wood swallows, kingfishers, black-naped orioles, sea eagles, egrets and two dozen other species make their seasonal home on Pamalican and its surrounding shores. Pamalican is a nesting site for green and hawksbill turtles. Every year from March until October, females come up to the beach at night to lay their eggs. To assist in protecting this endangered species, WWF have trained Amanpulo staff to tag the turtles and monitor the laying process, before transferring the eggs to hatchery, located at the Windsurf Hut. Whenever baby turtles are hatching, Amanpulo guests are invited to watch the release of the baby turtles into the sea. 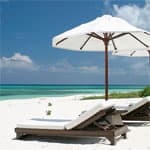 At Amanpulo, the resort’s resident masseuses offer a range of massages and body treatments, as well as aromatherapy and beauty treatments in the privacy of a guest’s casita, in the air-conditioned Spa Casitas or at the open-air Garden Sala. Pamper yourself with a two and a half hour Island Indulgence which combines a coconut scrub, ginger wrap, herbal bath, Amanpulo massage and a fruit facial, or simply soothe your soles with a soak, scrub and rub. Manicures, pedicures and facials are also available.